Day 3 of the men’s and women’s SEC Championships have now concluded, so let’s look back on what we can take away as the “5 Big Things” from today’s events. When Gator freshman Caeleb Dressel announced his college choice as the University of Florida, many (and we mean many) readers balked over the selection and how it was viewed as a place where Dressel’s speed would perhaps go to die. 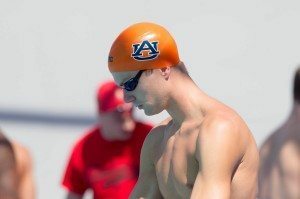 Absolutely that’s not the case, as the 50-free 17-18 NAG record holder has not only maintained his high school speed, but has enhanced it, taking home his first SEC championship title in a sprint event, the 100 fly. His time of 45.28 from tonight is the second-fastest ever by a 17.18 and would have placed 4th overall at last year’s NCAA championships: a very good sign at this point in time. That, on top of his wicked sub-19 50 free he threw down for second place earlier in the meet, can (hopefully) belay some folks’ fears that Dressel had morphed into some kind of slower version of himself. See? Relax, Caeleb Dressel is still Caeleb Dressel. The freshman from Texas A&M started the meet in a big way…in fact, in a possibly-the-fastest-50-fly-split-in-history kind of way. She then followed that up with a 3rd place finish in the women’s 50 freestyle, throwing down a stellar 21.85 to break her school’s record in the event. 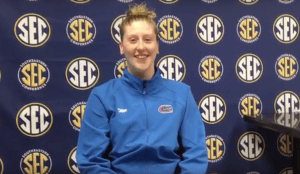 Flash forward to tonight’s finals, where the French national teamer hammers out a scorching 50.87 100 butterfly, which not only wins the SEC title, but breaks her second school record and takes down legendary Christine Magnusson’s meet record. In fact, this break-out swim would have outright won last year’s overall NCAA title in the 100 fly, beating Felicia Lee’s 50.89. Yes, you read that correctly – would have been #1 at last year’s NCAA champioships. Quite. A. Statement. 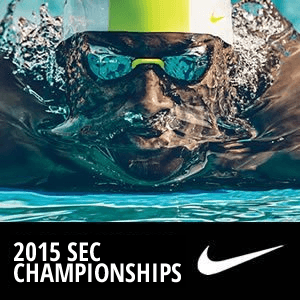 from a freshman swimmer at her first SEC championships. Even for fans of French swimming, who knew of Gastaldello’s success there, this meet has been an eye-opener. The Bulldogs lead the women’s side of the competition with a team score of 804.0 after tonight’s finals. The next closest competitor is Texas A&M with 648.0 points after day 3, which may put the top spot out of reach. Georgia simply has the depth that gets gains, race after race. 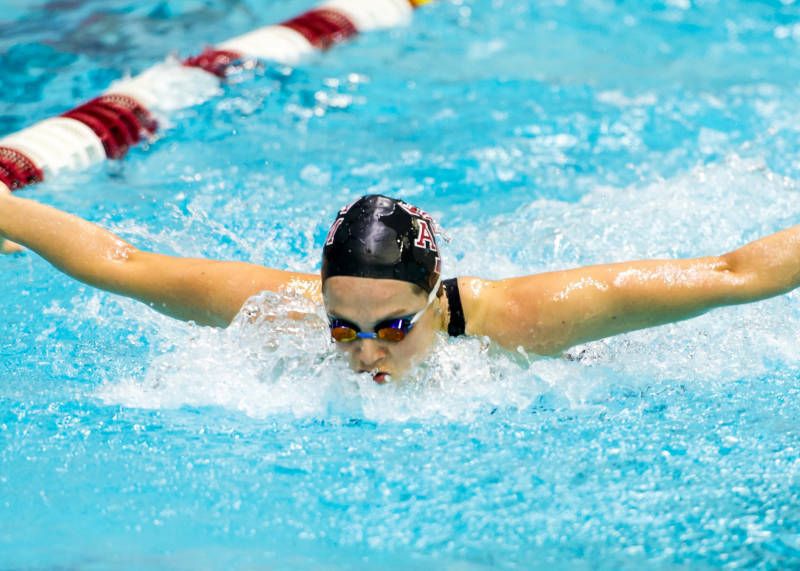 The Bulldog women earned 107 points just in the 400 IM alone, as they had swimmers win 1st, 3rd, 5th and 7th. The 100 fly put 82 more points into the Bulldog booty and the 200 free added 81 points to the haul. With the depth continuing through the remainder of the meet, the Georgia women seem primed to repeat their 2014 title. Florida Gator Amelia Maughan earned a little redemption tonight, as she topped the women’s 200 free final to win the SEC title in 1:44.68. This performance came after a disappointing 50 freestyle earlier in the meet where she failed to make any of the three finals. However, in tonight’s race, Maughan proved she wanted it badly, improving from 4th spot in prelims to tonight’s title winner position by dropping over half a second. On her race, Maughan commented, “It was great. I feel great but it was definitely a surprise with me coming from lane two. But all I wanted to do is have fun and race, considering that this is my first time at SEC’s.” Mission accomplished. Four of tonight’s events were won by the freshman contingent across all schools. We know about the damage that Dressel and Gastaldello, both freshman, did in their events tonight and we can add another freshman victory to the tally by Tennessee diver Liam Stone, who broke his schools’ record and won the men’s 3-meter diving competition. Add in the aforementioned victory by Amelia Maughan, and it’s easy to get excited about the young talent that isn’t just up-and-coming within the SEC, but that has already arrived and is taking over. Yes. 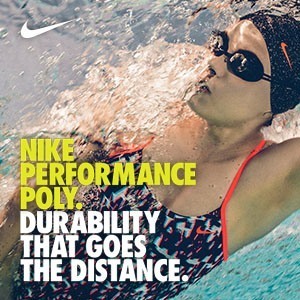 MacLean continues probably to swim at least 60km per day in training. The big meet is in March. Haha, when and which video?